Peach Tree Healthcare | Help us build a strong Peach Tree Health and fight chronic disease in Yuba-Sutter. Help us build a strong Peach Tree Health and fight chronic disease in Yuba-Sutter. 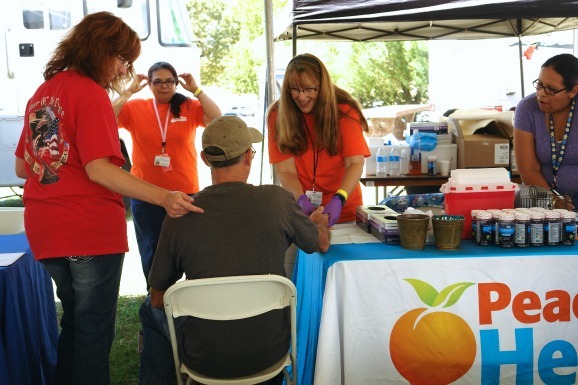 Peach Tree Health is essential to the Yuba-Sutter region. Your donation helps us fight diabetes, heart disease, cancer and other chronic disease where you live, work and play. We serve more than 25,000 people a year including the most vulnerable segments of our population. Your donation helps us provide quality care for this diverse community, one person at a time. 2. I would like to be recognized on Peach Tree's website for a one-year period. Peach Tree Healthcare has partnered with Network for Good to securely process your online credit card payment via Network for Good (tax ID 68-0480736). This transaction will appear on your credit card statement as "Network for Good." This transaction is subject to Network for Good’s Privacy, Security & Disclosure Statement and the Charitable Solicitation Disclosure.